Many nopCommerce users posts questions regarding how to move the news section to the side column. In some ways, it does makes sense as many store owners prefer to use the middle body of the homepage to showcase their products / services. Side columns is a great location to display news about your industry or store site. Today, we will go over the process of moving the news section to the side column. nopCommerce default theme (out of the box) support responsive design / layout that is optimized for all the screen sizes including desktop, tablets and smartphones. This allows the store site layout to adjust automatically depending on the screen size by keeping the same overall design. A lot of users post questions about why their images are not responsive when posted on topic pages even when the theme is responsive. Today. we will discuss the solution that can fix this problem. A lot of developers prefer to store all the images (including products, categories, profile avatar, manufacturer images etc) in filemanager as compared to storing everything in the database. The reason is quite simple, the more products you add, the more images you will have and hence the size of the database will increase drastically if you keep storing all the media in your database. This can lower down the performance of your website significantly if you have a lot of products/media on your store site. Let's go over the process of changing the media settings from database to filemanager. 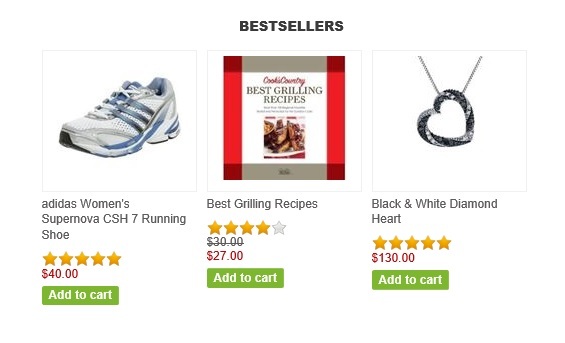 These days, most of the store owners likes to display "best sellers" products on the store site. This is a great way to showcase popular products that are in the trend and make other customers aware that what shoppers are buying these days. 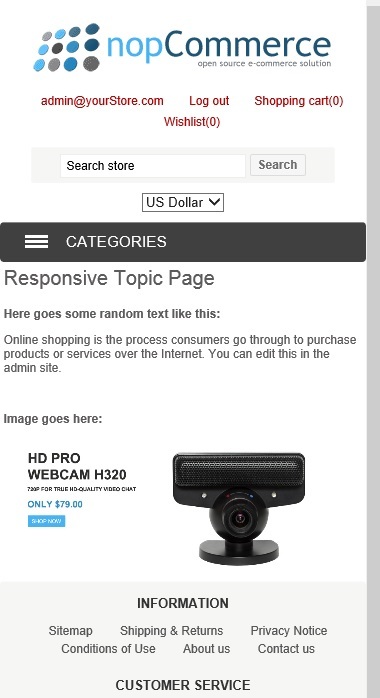 The good news is that, nopCommerce offers this feature that allows store owners display best sellers on the homepage. Today, we will go over the complete process for enabling this feature. There are many situations when store administrators would like to display different content on some of the web pages based on roles. 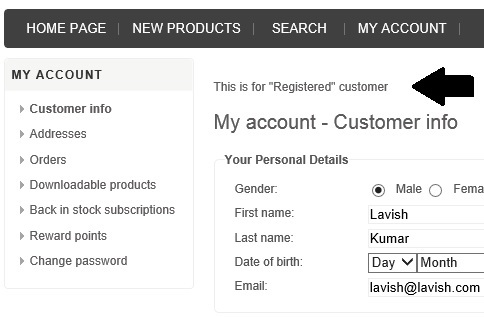 Let us assume: if a user is logged in with "role A", you might want that user to see only few options on the webpage. But if a user is logged in with "role B", on the same web page you might want that user to see all options (just like access control list). This is when this solution comes in handy as you can have one single webpage but different information on it based on the role.